MARCOM's "DOT HAZMAT In-Depth Security" Employee Booklet focuses on employees who handle hazardous materials. The booklet reviews a number of topics aimed at making these employees more aware of risks associated with transporting hazardous materials and gives them an understanding of their facility's HAZMAT Security Plan. Created specifically for the Department of Transportation's HAZMAT Training regulation on Handling and Transporting Hazardous Materials, this video program provides the information necessary to comply with the regulation's "In-Depth Security" training requirement. 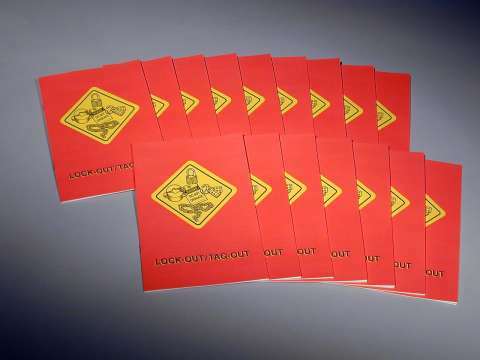 The booklet includes information on DOT's HAZMAT security requirements, security risks associated with transporting hazardous materials, the contents of a HAZMAT Security Plan, organizational security structure, facility security objectives, security procedures, employees' security responsibilities, actions to take in the event of a security breach and more. The employee booklet features text, illustrations and a quiz, and is 16 pages in length. Booklets are available in packages of 15.